Visitors are usually required to make an oral baggage declaration of the baggage and foreign currency in their possession. They also have to obtain the Currency Declaration Form from the Customs department. They are also bound to fill in the Disembarkation Card handed over to them by the airlines during the course of the flight. 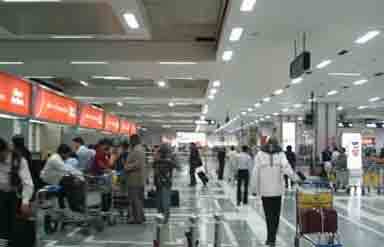 For the smooth passage of the tourists at the airport check-in counters, two channels have been provided. 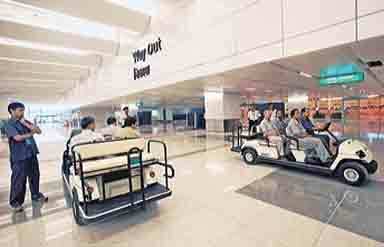 One is green channel, meant for passengers not having any of the dutiable articles or unaccompanied baggage. On the contrary, for passengers with dutiable articles or unaccompanied baggage or high-value articles (to be entered on the Tourist Baggage Re-Export Form), the red channel is there at service. The Dutiable articles, unaccompanied baggage, or high-value articles carried along with the passenger must be entered on a Tourist Baggage Re-Export Form (TBRE). These articles must be re-exported at the time of departure. A failure to re-export anything listed on the TBRE becomes a payable duty levied for each missing item. 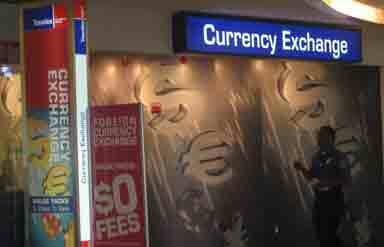 Cash, bank notes, and travelers' cheques up to US $1,000 or equivalent need not be declared at the time of entry. If the amount exceeds the given limit then the passenger has to disclose in the Currency Declaration Form, the amount of foreign currency or travelers' cheques brought by him at the time of arrival. If done then there are no restrictions. This will not only enable him to exchange the currency brought in, but also to take the remaining currency way to home on departure. Any money in the form of travelers' cheques, drafts, bills, cheques, etc., in convertible currencies that tourists wish to convert into Indian currency should be exchanged only through authorized moneychangers and banks. The following duty-free possessions are permissible: clothes and jewelry, cameras and up to five rolls of film; binoculars, a portable musical instrument, a radio or portable tape recorder, a tent and camping equipment, fishing rod, a pair of skis, two tennis rackets, 200 cigarettes or 50 cigars, 95 liters of liquor, and gifts not exceeding a value of Rs. 600 (about $20). There is no limit to carrying items of personal effects for tourists (other than citizens of Nepalese and Bhutanese origin) coming from their respective countries. Articles that exceed the duty-free allowance and articles imported as unaccompanied baggage can be cleared on payment of duty at the rate of 61.2% ad valorem. However, cigarettes exceeding 200, cigars exceeding 50, tobacco exceeding 250 g, and alcoholic liquor and wine in excess of one liter each will attract higher duty. Separate rates of duty have been fixed for gold and silver. Please jot down the correct declaration of your baggage. If your baggage is within free allowance limits, walk through the Green Channel. Passengers caught red-handed with dutiable/prohibited goods in the Green Channel are liable to prosecution/penalty and confiscation of goods. 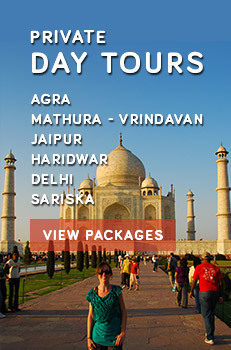 Caper Travel India offers wide range of India Tour Packages. For more details, send us query.